Choosing the perfect patio door is essential. After all, your patio door does more than just allow you to move between your home’s interior and exterior easily. Your patio door provides protection from the elements, allows natural light to shine in, and even adds an aesthetic element to your home. The UltraView Patio Door does all of this, while also ensuring thermal efficiency and entry and exit that is both quiet and safe. To give you a better understanding of everything the UltraView Patio Door has to offer, here’s a quick look at its top benefits. There’s no denying that patio doors can be loud and annoying. That is not the case with the UltraView. Currently, the quietest patio door on the market, it easily slides open, thanks to the patented dual-tandem nylon wheels and parts that have been carefully adjusted to reduce friction. As a bonus, the door has multi-chamber profiles and added weather stripping to keep most outdoor noises outside. The UltraView’s multi-chamber design decreases thermal exchange. Also, the door has more enclosed air space than other patio doors, which increases insulation values. It is not unusual for patio doors, especially older ones, to develop air and water leaks. Not only is this a nuisance, but it also has the potential to require expensive repairs. The UltraView Patio Door was expertly designed to make certain this does not happen. It features a patented water weep system, as well as triple weather, stripped vertical rails, to keep water out. The door is especially watertight and engineered for reliability, allowing it to stand up to the test of time. Around 22% of break-ins are committed using a side or back door, such as your patio door . When you also consider that 2 million home burglaries are reported every year in the United States, this statistic can be especially scary . Fortunately, UltraView Patio Doors were designed to make it almost impossible for burglars to break in. They have mobile and fixed panel rails that come together and interlock perfectly. This makes it practically impossible to remove them from the outside. Available in white and beige, as well as with an optional woodgrain interior finish (cherry, light oak, and dark oak) UltraView Patio Door’s will add to your home’s appearance. Handles are available in a wide array of colors, including brushed chrome, white, black, brass, and black nickel. This allows you to customize the door to integrate with your existing interior and exterior seamlessly. In addition to being easy to install, UltraView doors have room for panel adjustments to make sure uneven surfaces never become a problem. This makes plumbing and squaring quick and simple. 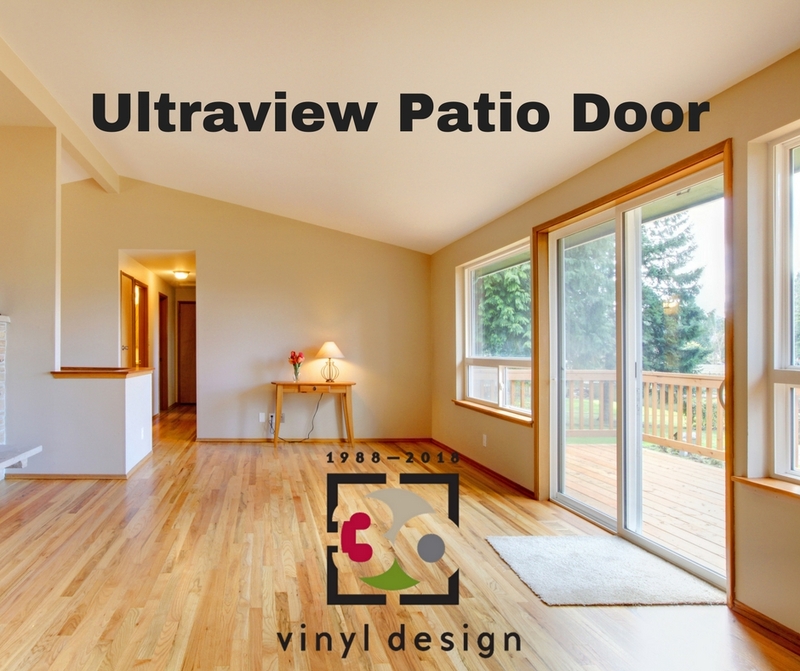 If you are searching for the best patio door for your home, UItraView Patio Doors may be precisely what you are looking for.